What a great time we had with the gals at Jingle Belles for our Christmas cross over! If you didn't play along I'm not going to lie, you missed out :) Thank you again to Lauren and Stef for teaming up with 'Tis The Season, you rock! This week at 'Tis The Season we have an inspiration photo and this one stumped me a bit. 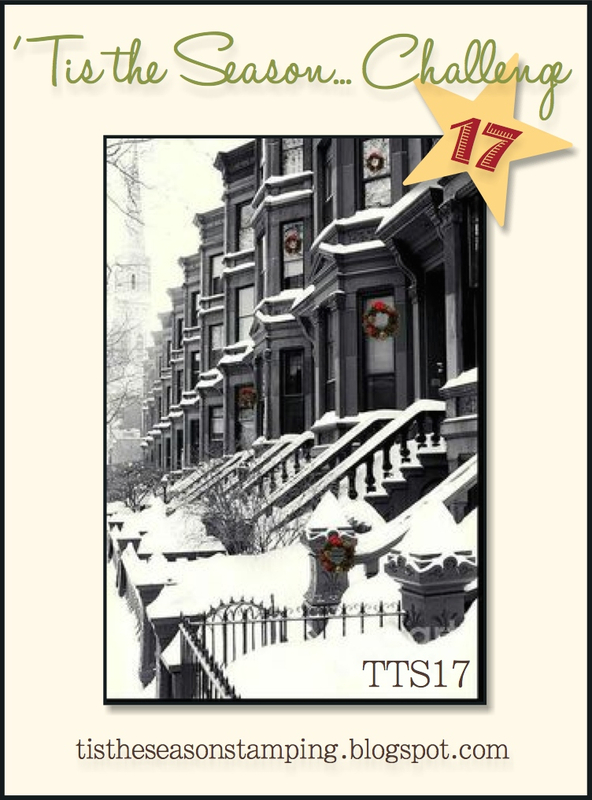 I just ordered a Christmas set from Lawn Fawn called "Winter in the City" and it arrived Weds, just in time for me to make a card with it! When I was a kid growing up in MA my grandparents used to take us into New York City on the train and Christmastime was always my favorite time to visit the city! The lights, the snow, the people, the stores all decorated...I tell you, if you have never been to NYC at Christmas make a trip at least once, you wont regret it! My memories of trips there are what I had in mind when I saw this photo and started putting my card together. 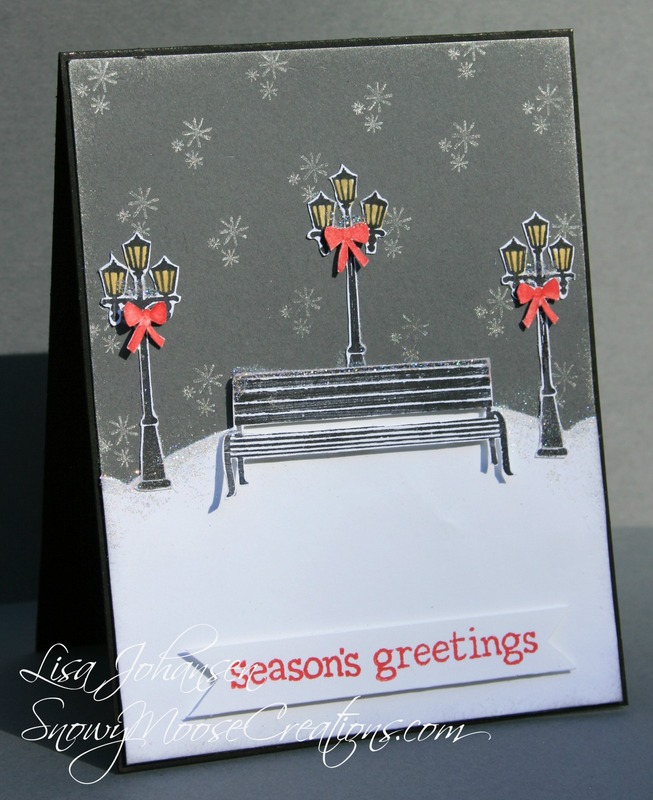 The photo has mainly neutral colors with just small pops of color so that's what I kept with my card. I used a Basic Black card base, and then did my main layer on Basic Gray. 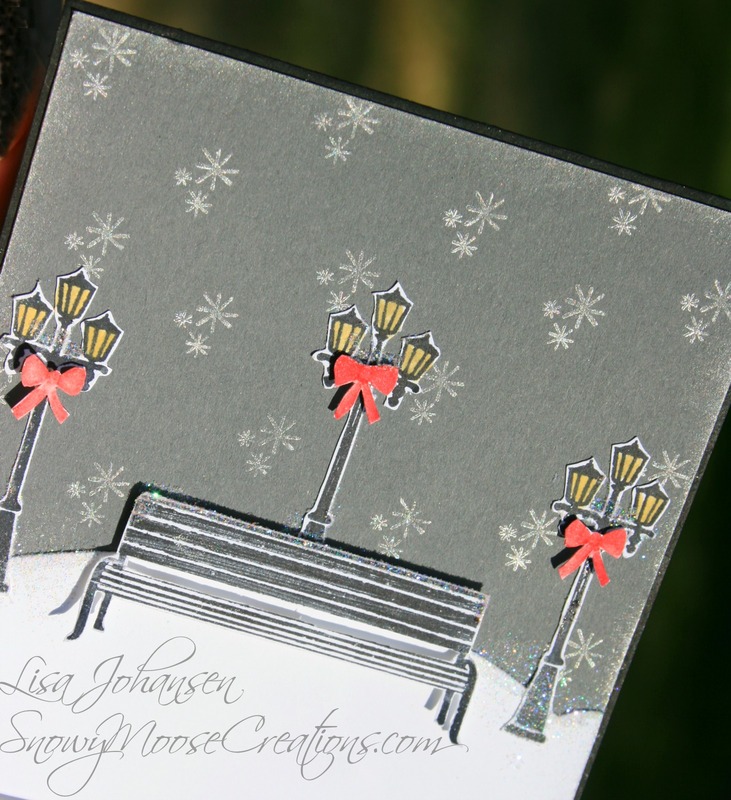 I stamped the snowflakes from Lawn Fawns Winter in the City in Metallic Silver, and stamped the light poles and bench in Basic Black and fussy cut it all out. The ribbons were stamped in Real Red and also fussy cut. I used Daffodil Delight to color in the lights. The bench was popped up with dimensionals, as was the banner with the sentiment. 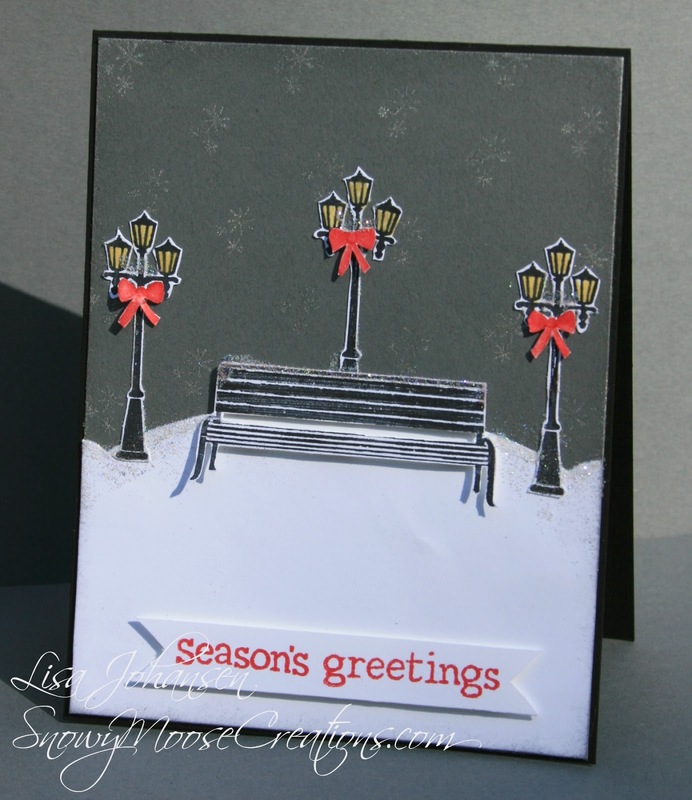 My daughter the Glitter Queen insisted I out some glitter on the card so I put some along the top of the bench, along the snow line and on the arms of the lamp posts. I hope you'll come by 'Tis The Season and play along with us! Come see how all the DT members interpreted this photo!